[S3] GRO Indexes to Marriages "1871/Q3 Bethnal Green Volume 1c Page 640." [S962] Website FreeBMD (http://www.freebmd.org.uk/) 10 March, 2002 PDF Matched entry. [S1075] 1881 Census RG11 Piece 0236 Folio 57 Page 63. [S133] Copy marriage certificate of Benjamin Clark Payne and Harriett Uridge (25 September 1871) . "13 March 2002." [S3] GRO Indexes to Marriages "1871/Q3 URIDGE, Harriett = PAYNE, Benjamin Clark Bethnal Green 1c 640." [S133] Copy marriage certificate of Benjamin Clark Payne and Harriett Uridge (25 September 1871). 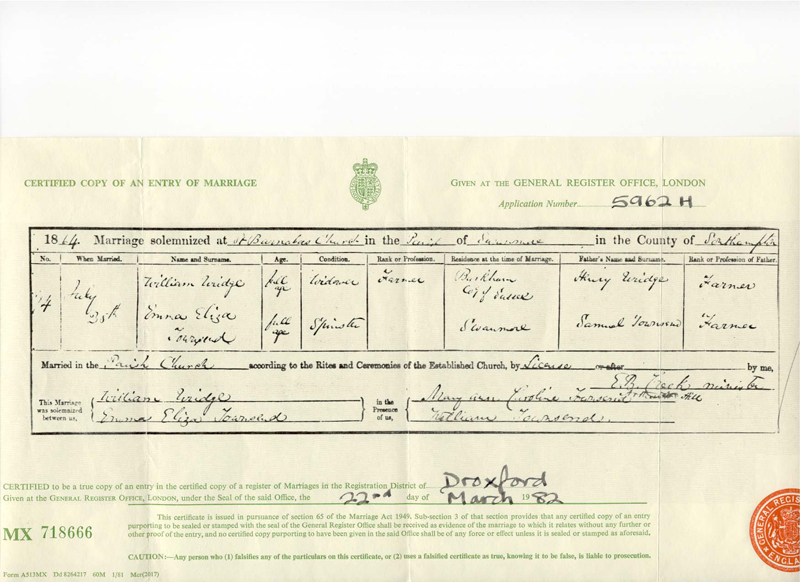 [S134] Copy marriage certificate of William Uridge and Elizabeth Elliott (18 January 1874) . "1874/1 Bethnal Green Volume 1c Page 347." [S285] Copy of Parish Register entry, William Uridge & Elizabeth Elliott marriage of 18 January 1874. [S6] Teresa Pask's Guesses, Theories and Speculation : Assumption based on time and location. Not definitely sure that this is the correct William. [S6] Teresa Pask's Guesses, Theories and Speculation : 1871/3 Bethnal Green Volume 1c Page 640. [S1075] 1881 Census RG11 Piece 0374 Folio 111 Page 16. [S662] Image of the 1881 census for Hammersmith, London: RG11 Piece 0374 Folio 111 Page 16. Died age 78 of Cardiac valvular disease, and Syncope. Dr. William A. Fisher made last visit on 17 March 1889. Her father and mother's surname was given as URAGE. 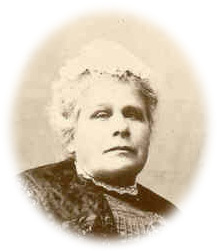 Her father's occupation was Farm Labourer, and she was born in Kent, England. She had been in New Zealand 33 years. 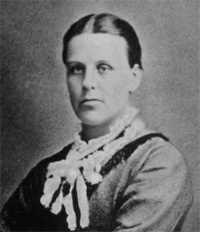 She married in England at 15 years of age to William Bathhurst. She married in Lyttelton at 47 years of age to Richard Martin. She had 2 males and 2 females living from the 1st marriage, no issue from 2nd marriage. [S138] E-mail from Judith Batt to Teresa Pask dated 18 April 2002. [S247] Letter from Shirley Dixon to Teresa Paskdated 5 October 1984. [S251] Copy death certificate of Phoebe Martin (17 May 1889) "Died age 78. Her father and mother surname was given as URAGE. Her father's occupation was a Farm Labourer, and she was born in Kent, England." [S254] Samarang http://freepages.genealogy.rootsweb.com/~nzbound/…, " age given as 38." [S1072] 1851 Census PRO Ref: H.O. 107/1587 Folio 155b aged 38, born Hoo, Kent. [S138] E-mail from Judith Batt to Teresa Pask dated 7 September 2002. [S6] Teresa Pask's Guesses, Theories and Speculation : Based on 1851 census - age and place of birth. [S251] Copy death certificate of Phoebe Martin (17 May 1889) "She married in England at 15 years of age to William Bathurst." [S462] Will of Richard Bathurst, dated 28 May 1845 Showed that they were not married. 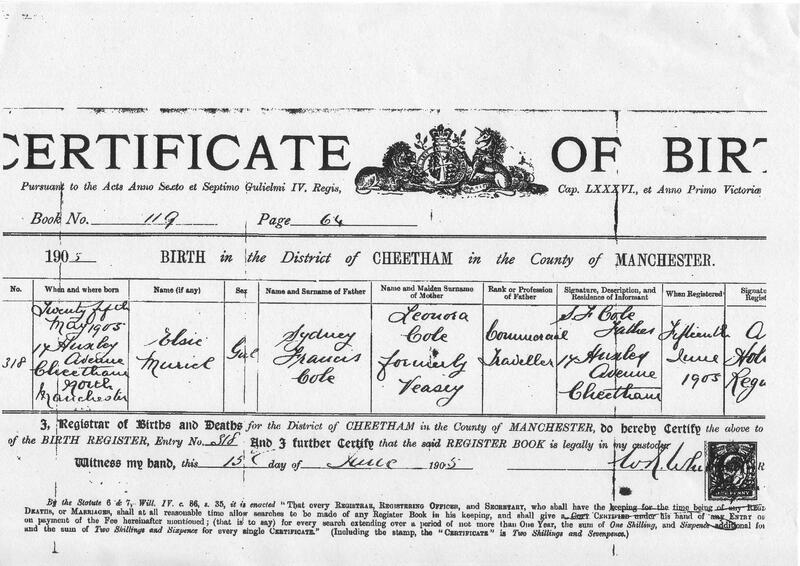 [S304] Copy birth certificate of Emma Bathurst (4 November 1840). [S254] Samarang http://freepages.genealogy.rootsweb.com/~nzbound/…, " aged 10 years." [S248] Index of Baptisms & Marriages in the Parish of Greenwich-East, Kent "Emma d Richard and Pheobe of Brand St, Gent. Bapt 1 Nov 1840, Born 4 Dec 1840." [S2] GRO Indexes to Births "1840/Q4 Greenwich 5 219." [S138] E-mail from Judith Batt to Teresa Pask dated 8 September 2002; provided transcript of birth certificate. [S138] E-mail from Judith Batt to Teresa Pask dated 11 July 2002: "Address could be 6 or 66 Brand Street, Greenwich." [S1071] 1841 Census PRO Ref: H.O. 107/483 Folio 13 Page 22 & 23. [S138] E-mail from Judith Batt to Teresa Pask dated 31 August 2003: Transcript of Richard Bathurst's will. Missing information provided by John Bathurst. [S462] Will of Richard Bathurst, dated 28 May 1845. [S138] E-mail from Judith Batt to Teresa Pask dated 14 August 2002. [S962] Website FreeBMD (http://www.freebmd.org.uk/) 1845/Q3 Greenwich 5 150. [S358] Burial, Greenwich, 1842 Aug - 1849 Jun "Page 251, No. 2016 "Died 21 July 1845, aged 48."" [S1072] 1851 Census PRO Ref: H.O. 107/1587 Folio 155b. [S247] Letter from Shirley Dixon to Teresa Paskreceived 5 October 1984. [S138] E-mail from Judith Batt to Teresa Pask dated 7 July 2002. [S250] Copy marriage certificate of Richard Martin and Phoebe Bathurst (16 April 1857) "Richard was a Mariner, and a bachelor of full age. Pheobe was a widow, of full age. 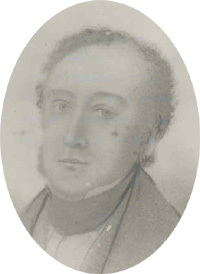 The witnesses were Thomas Fowler, and Caroline Henrietta Bathurst,." [S251] Copy death certificate of Phoebe Martin (17 May 1889). [S365] Baptisms, St. Mary, Chatham, Kent, 1813-1814; Aug 1826-April 1830 "P85/1/23 "Frances Elizabeth d Richard & Pheebe BATHURST, Chatham, Clerk in Dock Yard Jamaica"." Searched by Raymond Godfrey 26 November 2002. [S248] Index of Baptisms & Marriages in the Parish of Greenwich-East, Kent 9 October 1837 bp BATHURST Richard George, s of Richard & Phebe of Brand St, Clerk (Born 30 May 1837). [S357] Baptism, Greenwich, 1830 Mar - 1853 Jan "Page 185, No. 1480 - Emma dau or Richard & Phobe BATHURST of Brand Street Gentleman. Baptised 4 December 1840, born Nov ?" [S247] Letter from Shirley Dixon to Teresa Paskdated 5 October 1984; (year stated as 1843). [S357] Baptism, Greenwich, 1830 Mar - 1853 Jan.
Richard made a will dated 28 May 1845. This is the last will and testament of me Richard Bathurst of Greenwich in the County of Kent, Gentlemen, made and declared the twenty eight day of May in the year of our Lord one thousand eight hundred and forty five. First I hereby revoke all former wills and testamentary writings and of this my last will and testament do constitue and appoint my cousin Thomas Bathurst of Plumstead in the County of Kent, Innkeeper, executor. I give and bequeath unto the said Thomas Bathurst all and singular my household furniture, plate, linen, china and effects and all my ready money, money in the public stocks or funds or otherwise due and owing to me and all other my Personal Estate whatsoever and wheresoever Upon Trust in the first place to pay there out all my just debts, funeral and testamentary expenses and subject I give and bequeath the same and any part thereof unto Phoebe Uridge who now lives with me for her own use and benefit and the better to enable her to bring up my several children by her namely Frances Elizabeth, Caroline Henrietta, William, Richard George, Dorothy Ellen, Sarah Ann and Emma and I devise to the said Thomas Bathurst all such trust estates as are now vested in me to hold the same upon the several trusts affecting the same And I desire my said Executor to reimburse himself from my said trust property all reasonable expenses incurred by him in the execution thereof. In witness whereof I have hereunto set my hand the day and year first above written Richard Bathurst signed and declared by the said testator Richard Bathurst as his last will and testament in the presence of us present at the same time who in his presence at his request and in the presence of each other have hereunto subscribed our names as witnesses. [S138] E-mail from Judith Batt to Teresa Pask dated 15 September 2003: Photograph provided. [S469] GEDCOM file created by Janice Polgase. [S247] Letter from Shirley Dixon to Teresa Paskdated 1985. [S138] E-mail from Judith Batt to Teresa Pask. [S79] London Metropolitan Archives, Kelly's Post Office London Directory 1842, page 19. Under the main section Government and other Public Offices, Admiralty Civil Department, Somerset House, Inspector General of Naval Hospitals and Fleets, Clerks, third class. [S138] E-mail from Judith Batt to Teresa Pask dated 31 August 2003: Transcript of Richard Bathurst's will. [S357] Baptism, Greenwich, 1830 Mar - 1853 Jan "Page 66, No. 528 "Edward son of Richard & Phoebe BATHURST of Brand Street Gentleman."" [S247] Letter from Shirley Dixon to Teresa Paskdated 1985; states place of birth as Greenwich. [S286] Midlothian http://freepages.genealogy.rootsweb.com/~nzbound/…, " Age given as 23 years." [S365] Baptisms, St. Mary, Chatham, Kent, 1813-1814; Aug 1826-April 1830 "P85/1/23 Frances Elizabeth d Richard & Pheebe BATHURST, Chatham, Clerk in Dock Yard Jamaica." Searched by Raymond Godfrey 26 November 2002. [S138] E-mail from Judith Batt to Teresa Pask dated 8 September 2002. [S138] E-mail from Judith Batt to Teresa Pask dated 15 September 2003: Photographs provided. [S248] Index of Baptisms & Marriages in the Parish of Greenwich-East, Kent Emma d Richard and Pheobe of Brand St, Gent. Born 4 Nov 1840, Bapt 1 Dec 1840. [S6] Teresa Pask's Guesses, Theories and Speculation : He did not emigrate with the rest of his family. [S962] Website FreeBMD (http://www.freebmd.org.uk/) 1843/Q2 Greenwich 5 180. Research Note: Searched in the 1901 census for Sidney/Sydney - nothing found. [S950] Website Family Search (LDS) (http://www.familysearch.org) Batch No. C166621 1865 - 1888. 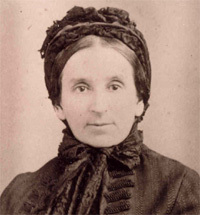 [S565] Black and white photograph of family group photograph of Annie Cole née Grant with her daughter and two of her sons. Kindly provided by Mavis and Lise Estcourt. "Back row: Sydney Francis Cole, Ella Cole. Front row: Annie Cole née Grant and Wilfred Cole." 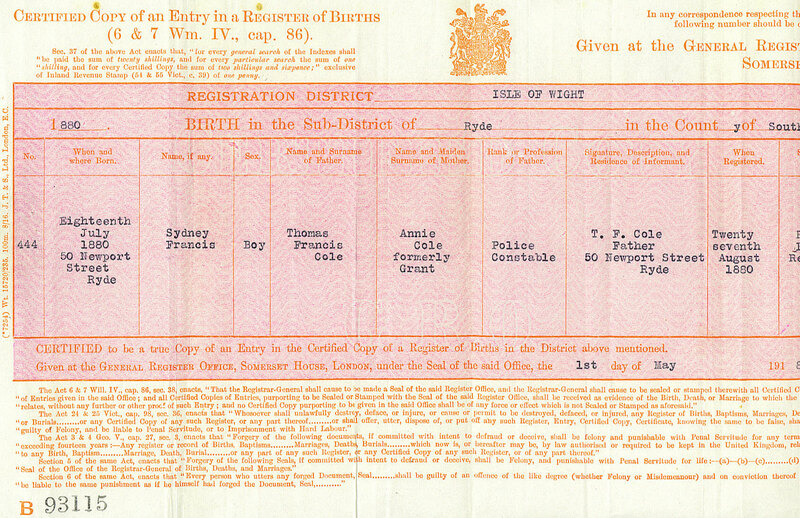 [S552] Copy birth certificate of Elsie Muriel Cole (25 May 1905). Kindly provided by Mavis and Lise Estcourt. Front row: Leonora, Hilda, Eric, Sydney." [S547] E-mail from Mavis Estcourt to Teresa Pask dated 11 August 2004. [S1076] 1891 Census PRO Ref: RG12 Piece 1905 Folio 19 Page 4. [S1076] 1891 Census RG13 Piece 1905 Folio 19 Page 4. [S546] E-mail from Lise Estcourt to Teresa Pask dated 21 August 2004 (Family Bibles). [S1076] 1891 Census PRO Ref: RG12/1905 folio 19 page 4. [S567] Image of the 1901 census for Batcombe, Somerset: RG13 Piece 2314 Folio 20 Page 17. 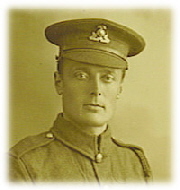 Reginald (Ed) was in the army during World War II, in the Duke of Cornwall's Light Infantry. 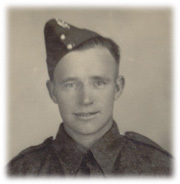 He was taken prisoner in Stalag XVIII-A in Wolfsberg Austria. [S142] Lenora Adams née Veasey "Telephone conversation on 18 April 2002." [S183] Information supplied during 2002 by Kay Euridge née Veasey "Telephone conversation on 16 January 2003." [S3] GRO Indexes to Marriages "1935/Q3 PENNY, Rose E. VEASEY Yeovil 5c 862." [S3] GRO Indexes to Marriages "1935/Q3 VEASEY, Reginald H. PENNY Yeovil 5c 862." [S1001] Website Ancestry US Records (http://www.ancestry.com) Ancestry.com. UK, British Army Prisoners of War, 1939-1945 [database on-line]. Provo, UT, USA: Ancestry.com Operations Inc, 2009. [S126] Mervyn & Jackie Chant "Telephone conversation on 16 January 2003." [S4] GRO Indexes to Deaths "1966/Q2 VEASEY, Reginald H. Sodbury 7b 531 age 51." [S2] GRO Indexes to Births "1947/Q1 VEASEY, Margaret A. PENNY Chard 7c 231." [S2] GRO Indexes to Births "1951/Q1 VEASEY, Brian R. PENNY Yeovil 7c 415." [S2] GRO Indexes to Births "1959/Q2 VEASEY, Diane PENNY Yeovil 7c 445." [S177] Information supplied by Irena Chant "Telephone Conversation 19 May, 2002." [S182] Copy birth certificate of Evan Llewellyn Evans (27 April, 1892) "Short birth certificate, received 22 May, 2002." [S126] Mervyn & Jackie Chant "7 April, 2002."